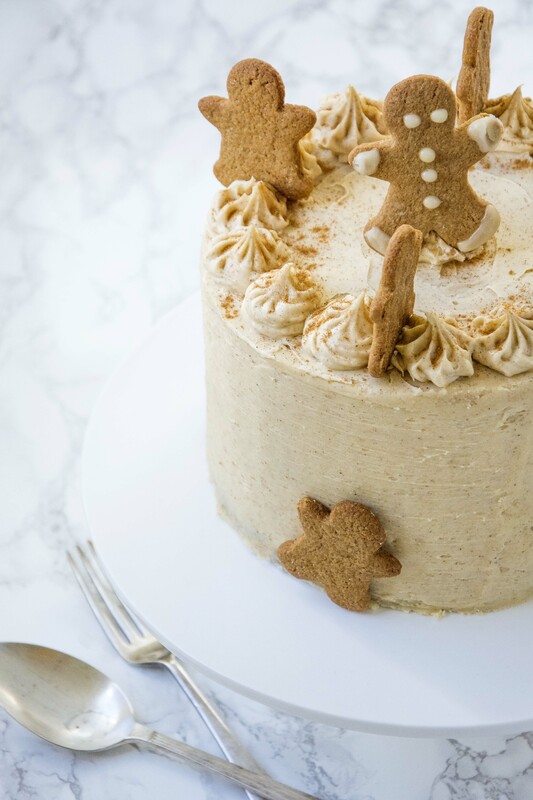 Chai spiced layer cake. It’s no secret that I love chai tea, I just love the spiced flavour combination. And after my chai doughnut recipe turned out wonderfully I thought that I could turn this into a whole cake. The secret to this cake is the cornflour and the sour cream. The cornflour works to keep the cake ultra light and the sour cream keeps everything moist. And of course having only egg whites helps to get all of the air into the cake when beating. 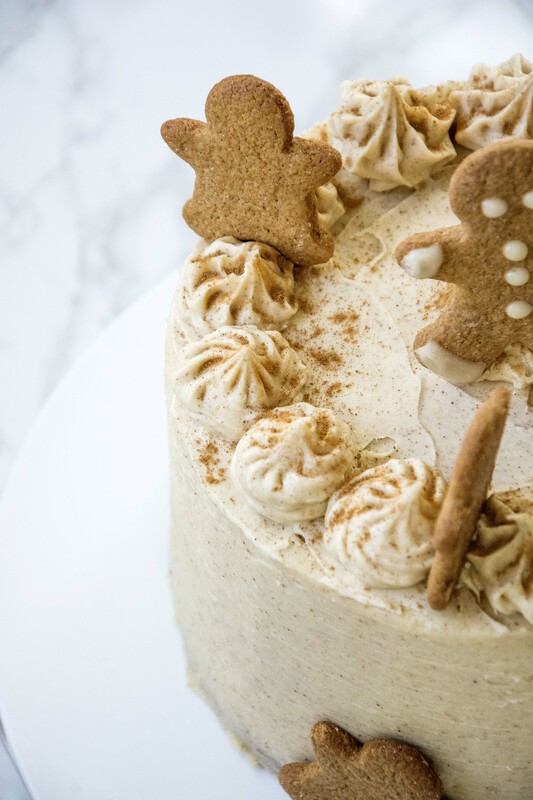 I was inspired to make this chai spiced layer cake after having lunch with some old friends and Ben brought up my attempt to make homemade chai tea in Indonesia. When I left uni I lived in Indonesia for around 8 months on and off helping to build a hostel. At the time I was obsessed with chai lattes and convinced that making huge batches for all the volunteers was the best idea in the world. I spent a lot of time and money hunting down the ingredients in the markets and buying a huge pot to steep the spices in and of course getting the lot from Bali to the Gili Islands. Turns out I was swindled with the spices as when I got them to the island they were probably years old. But I was very determined to make my tea. I put all of the ingredients in the pot, filled it with water and in my infinite wisdom, decided to leave it overnight. I left the spices steeping too long and in a constant 30 degree temperature the resulting tea was way too strong and bitter and definitely not salvageable. So I carried on with the days work, forgetting about my tea, probably got drunk that night, forgetting to throw the tea out. This pattern of forgetting to throw the tea out continued for the next 6 months until I had gone back to Australia. I’m not quite sure who exactly drew the short straw and had to dispose of that 30L pot of what I can only imagine was a chai bio hazard (I suspect Ben drew that particular straw). So this cake is to celebrate the wonderful time I had on the Gili Islands and to stand as a reminder that sometimes it’s just easier to buy tea bags. Pre-heat your oven to 180C. Line your cake tins with baking paper and spray with non stick cooking spray. I prefer to use lots of small tins to create thin layers. So my cake tins are 7″ and very shallow to create more layers, this is just my preference. However if you’re happy with only two layers this recipe will fill two 9″ cake pans. Start by making your chai milk, take the whole milk in a small saucepan on a medium heat, bring to the boil then turn off the heat. Add the chai teabags, stir and leave the tea bags to steep for 30 minutes. After 30 minutes remove the tea bags and leave to one side to cool. In a mixing bowl, sieve the flour, baking powder, bicarbonate of soda, salt, cornflour and spices. Mix together with a wooden spoon and set to one side for later. Using an electric mixer beat the butter until pale and creamy, this should take at least 1 minute, add the sugar and continue to beat for another couple of minutes, the mixture should be pale and creamy. Add the egg whites and beat well on a high speed for a few more minutes, if it looks like the mixture is going to split add a spoonful of the flour mixture and continue to beat. Add the vanilla and the sour cream and beat on a medium speed to combine. Turn the mixer or electric whisk to its lowest speed and add the flour, whisking until it is just incorporated, we don’t want to over beat it as it will knock out all of the air we just beat into it. Keep the whisk running on a low speed and slowly pour in the chai milk. Whisk until just combined no more. Divide the mixture evenly between your cake pans and bake. If you are using 2 x 9″ cake pans this will take around 25-30 minutes. The cakes are ready when they are golden and a skewer inserted into the middle comes out clean. If like me you are using smaller pans you may have to judge this by eye, my 7″ thin pans usually only take around 12 minutes to bake but this depends on how thick your pans are and how many layers. I separated the batter into 4 shallow 7″ pans and they bake in 12 minutes. Remove the cake from the oven and leave to cool on a wire rack. Beat the butter using a stand alone or electric mixer until pale and creamy. Add 100ml of the cream, 1.2kg of the icing sugar and the remaining ingredients and beat until the mixture has combined, it should be smooth with no clumps. Add the remaining icing sugar slowly, continuing to beat until the mixture is think enough to spread on the cake and to pip and hold its shape. If you over do it with the sugar add the remaining cream. When the cake has cooled completely, frost the cake using a palate knife or scraper. To decorate I fitted a piping bag with a star shaped nozzle and filled it with any leftover frosting. Pipe little swirls of icing around the edge of the top of the cake. 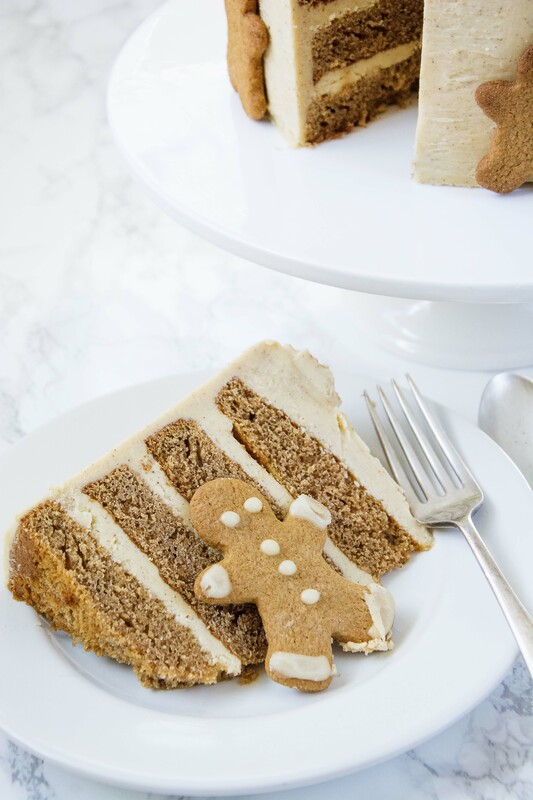 If you are eating the cake at home serve and enjoy, however if you plan to take it anywhere it would be a good idea to pop it in the fridge for an hour to really stiffen up the icing but of course don’t leave it in there too long, cakes don’t do well in the fridge. 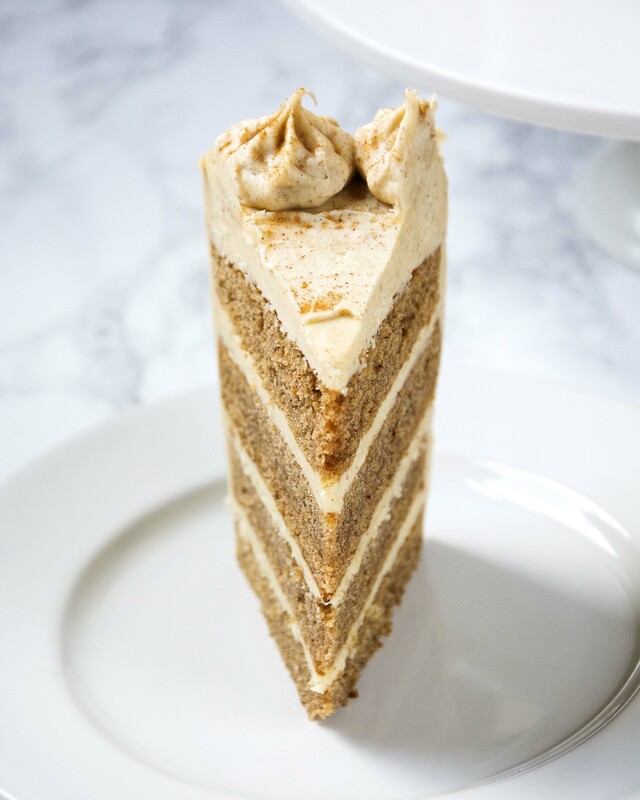 And there you have it my ultimate chai spiced layer cake. If you give this a go at home, let me know how it goes by tagging @whatseatingmanchester in your social media post! For more recipe inspiration don’t forget to check out my blog. Such a beautiful cake! I’m sure it tastes as wonderful as it looks! You could definitely see your expertise in the paintings you write. The world hopes for more passionate writers like you who aren’t afraid to say how they believe. All the time follow your heart. Yes, you’re just a beauty. No wonder your products look so amazing. And what is their amazing taste. Indescribable feelings. Thank you so much for the recipe.